For the past several years, consumer attitudes towards American-made products seem to be improving. The public seems to be more conscious of where things are made and aware of the positive impact that it can have on the good ol’ U.S. of A. Lying largely in the high end sector of the market, the American made trend is finding comfort in the clothing, furniture and food industries. 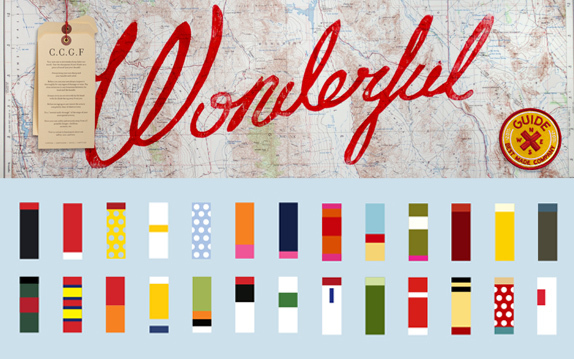 Larger companies like Pendleton, Woolrich, and L.L. Bean play up their heritage which plays in to the trend. In fact, in a survey of 1,300 affluent shoppers conducted by Unity Marketing, the US ranked highest on the scale measuring quality in luxury goods manufacturing. On an unexpected side of this industry, Best Made Co. has turned a simple chopping tool in to a strikingly sought after product. 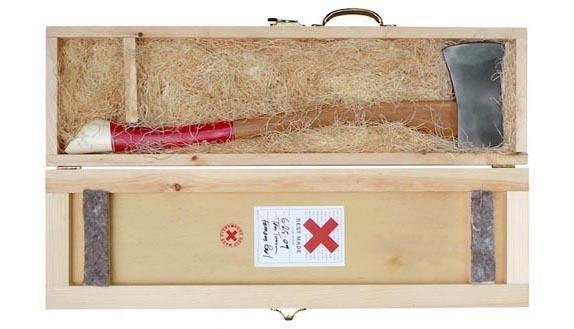 When Peter Buchanan-Smith and Graeme Cameron founded Best Made Company in 2009, the operation was strictly about axes. Handcrafted from fine grain steel, Appalachian hickory and painted with bright, vibrant handle stripes, these axes have become as popular with designers as they have with real lumbermen. Even in this digital age, Best Made’s founders argue that everyone should own an axe—regardless of its use. “The axe is a symbol,” says Cameron. “It forges our building and quite possible our thinking blocks.” And what better way to honor the age-old tool than by enhancing it with attractive design? Buchanan-Smith is an award winning design director at Isaac Mizrahi, which explains the thoughtfulness behind the Best Made Co. brand in every aspect. This is the type of experience that shows how impactful a brand can be when it has been truly considered before implementation. Upon entering the Best Made Co. website, expect a greeting with white space and a no-nonsense approach. The Best Made logo is a bright red X which stands out because of its simplicity and utilitarian approach. The X is also used as a way to spell AXE on their products, which provides a subtle, yet powerful brand extension. The product photography is simple, and perfectly shot on a white background to flow with the website. In a different setting, this site might be considered bland, but for the manly, utility-type goods, it only intensifies the function of the brand. 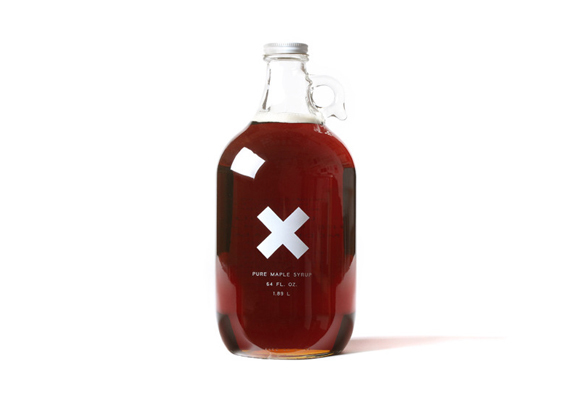 Best Made Co. sells products ranging from first aid kits to badges to maple syrup and of course, axes. Many of these items are manufactured by different artisans throughout the country who specialize in crafting each tool. 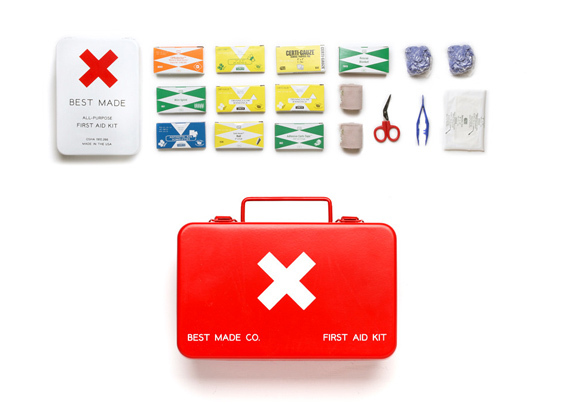 Even the first aid kits are manufactured right here in Kansas City. 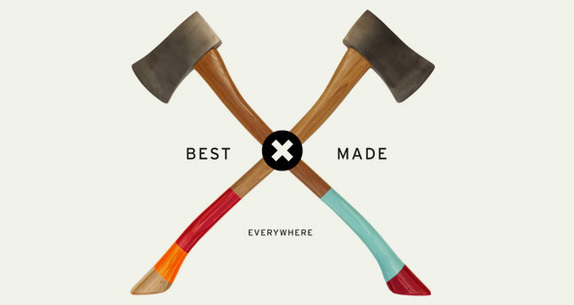 So next time you’re looking to buy some new gear for your outdoor toolkit, or even if you just need an excuse to get something down right cool, visit bestmadeco.com to see how American made is making a stand…and a good one at that.